of choice in their therapy options. the last four years to make that happen." its diabetes sector by looking at devices. devices used for diabetes management. products to market more easily. 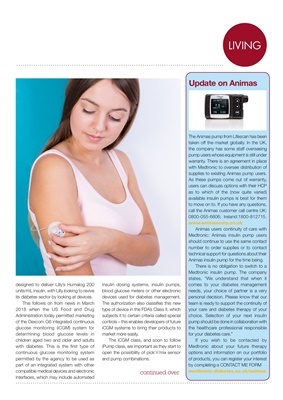 supplies to existing Animas pump users. Animas insulin pump for the time being.